This image is a repeat of a prior post in 2018. I was driving through the Alabama Hills, turned a corner and saw this strange looking alien staring right at me. Chills ran down my back! I quickly pulled off the road, let the dust settle, and introduced myself. He didn’t say much and just frowned. 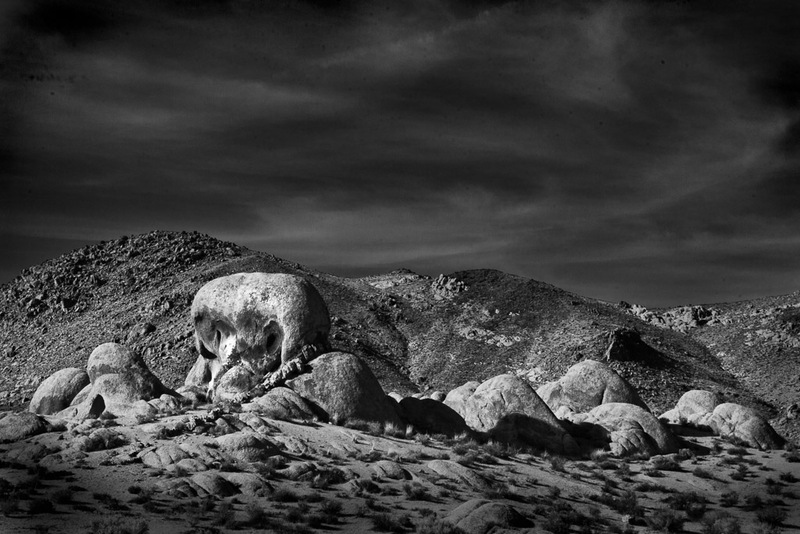 This entry was posted in Abstracts, B&W Photography, Geology, The Intimate Landscape and tagged Alabama Hills, rocks, Sierra Nevadas on March 9, 2019 by kgrafphoto.